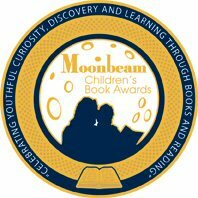 Mark your calendars for an exciting children's literature event. 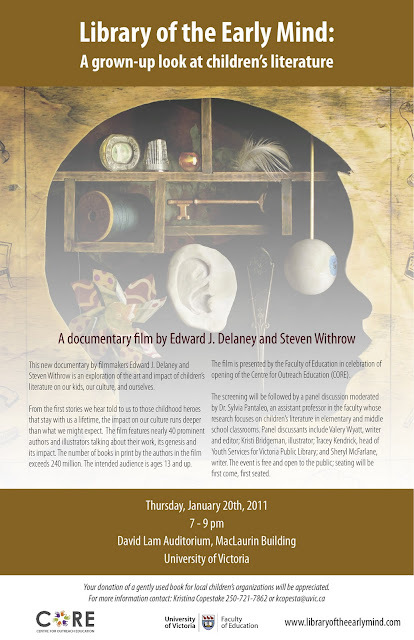 Library of the Early Mind, a documentary that explores children's literature, is coming to Victoria on January 20th at UVIC at the David Lam Auditorium at 7pm. This free documentary will be followed by a children's literature panel moderated by Professor Sylvia Pantaleo to discuss the film's themes from a Canadian perspective. The panel features, Valerie Wyatt, an editor with Kids Can Press and the author of the award-winning How to build Your Own Country, Kristi Bridgeman, illustrator of the Governor General's short-listed Uirapurú written by the late P.K. Page, Tracy Kendrick, Coordinator of Children's and Teen Services for Victoria Public Library, and Sheryl McFarlane, author of Waiting for the Whales.